Hello! Happy Saturday! I hope you've all had a fantastic week. Mine's been so hectic that i've barely had time to blog, so i do apologize! Over the past few days i've been unwell with all kinds of sicknesses so it was nice to get out of the house this morning and dress up a little, in something comfy and a little cute. Wearing all black with the exception of these high waisted MinkPink pants. I am loving all variations of trousers at the moment, especially the baggy kind. Teamed with one of my staple winter items- the turtle neck made for just the right amount of warmth needed for a sunny winter day. 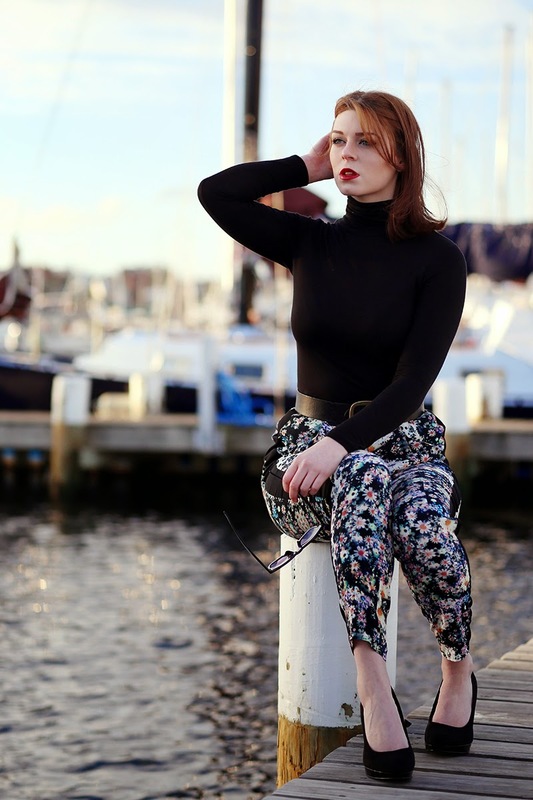 I'm forecasting a plethora of turtle neck posts in the next few months!